Doesn’t it feel great when you have someone that supports you and encourages you in your creativeness. The hubby is always there for me no matter what craziness I come up with. 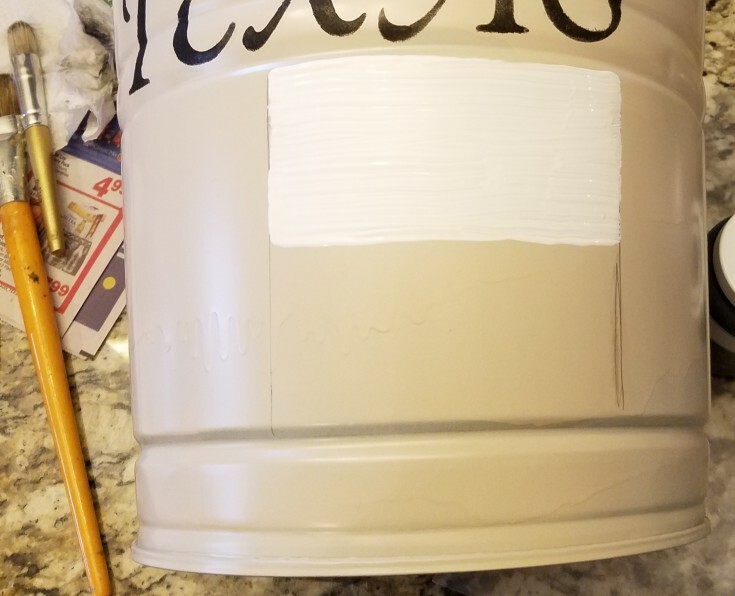 Now on to the bucket makeover. Hubby did have a hand in it too He spray painted it and drilled the holes in the bottom for drainage. 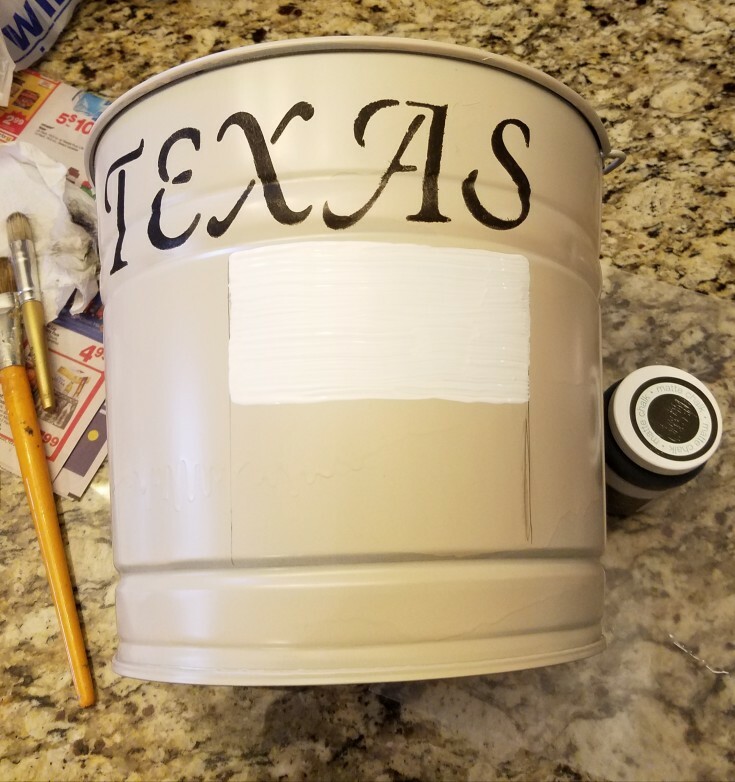 Next, I use black chalk paint to stencil the word Texas. 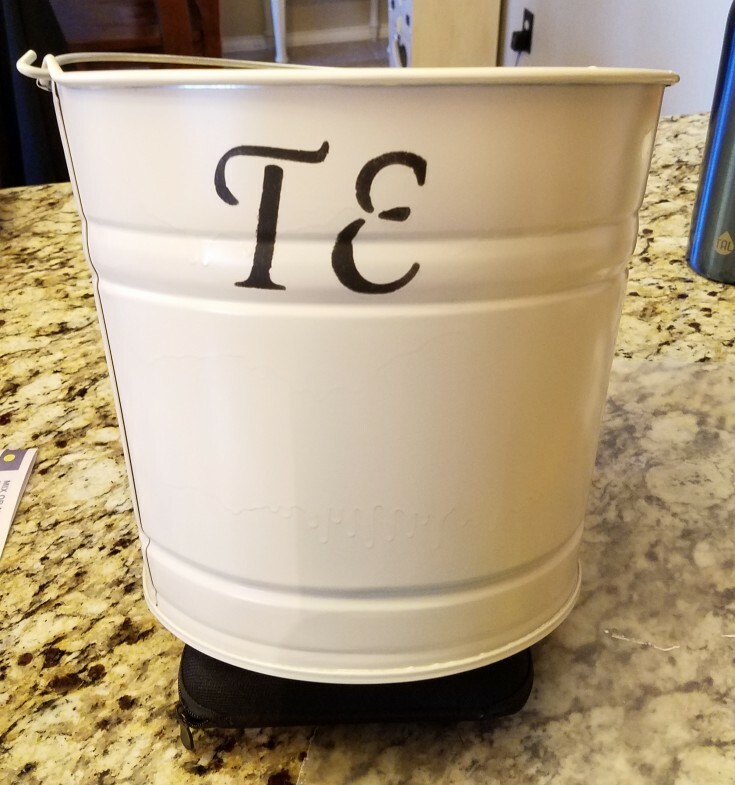 I chose chalk paint for this project because it would adhere to the spray-painted bucket better than my acrylics. Using a pencil and I traced off the blocks for my flag, then filled them in with the appropriate colors. Red, white, and blue. A star was added in the blue block. For the final finish I sprayed over the flag and stenciling with Helmsman spar urethane for protection. Now to fill the bucket up with a mixture on potting soil and compost mulch. Then came the periwinkle plant. 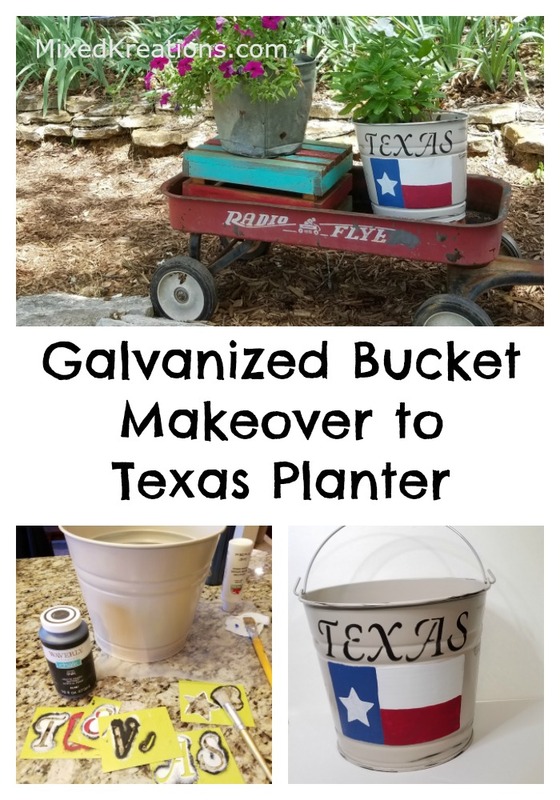 The galvanized bucket makeover to Texas flag planter is ready to go in the red wagon with the vintage bucket. 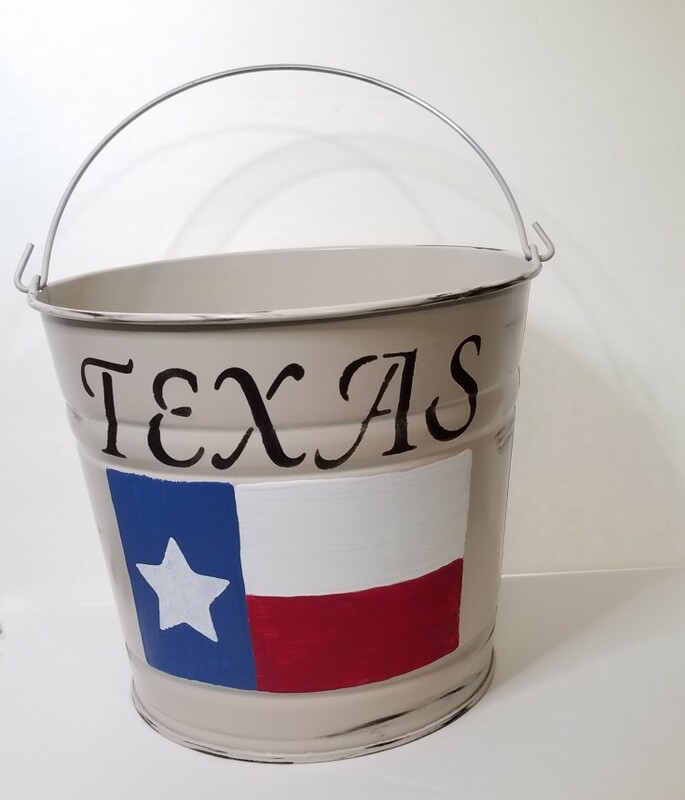 More Fun Texas Flag Projects! Linda it looks really cute. 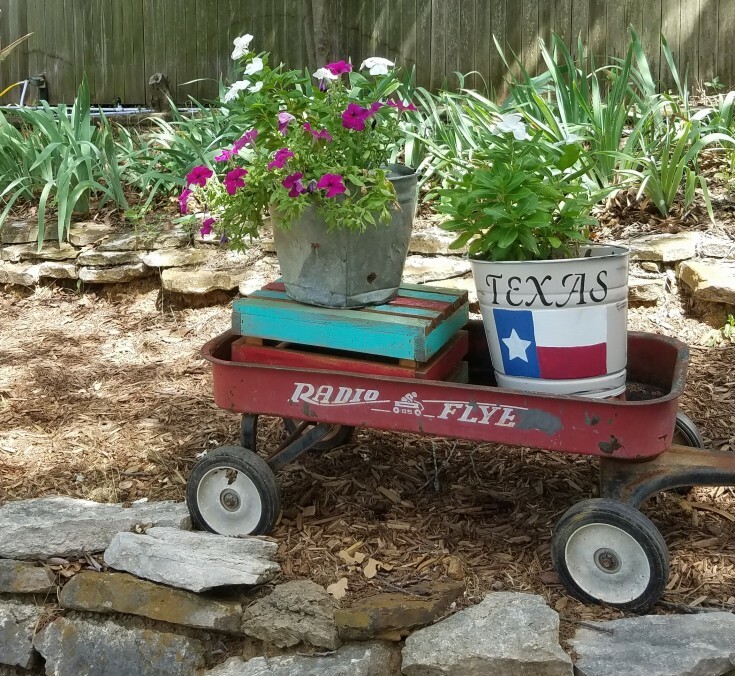 There must be Texas flags everywhere in your home. 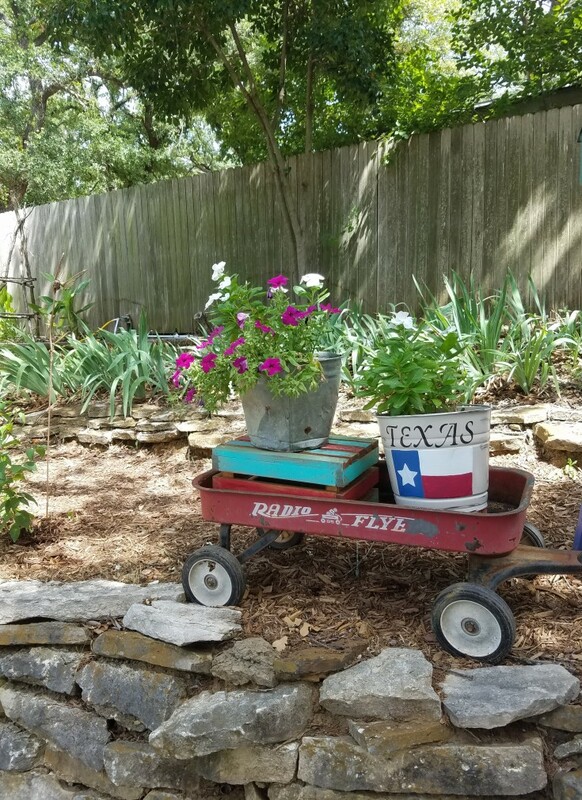 That looks so cute in the wagon Linda. 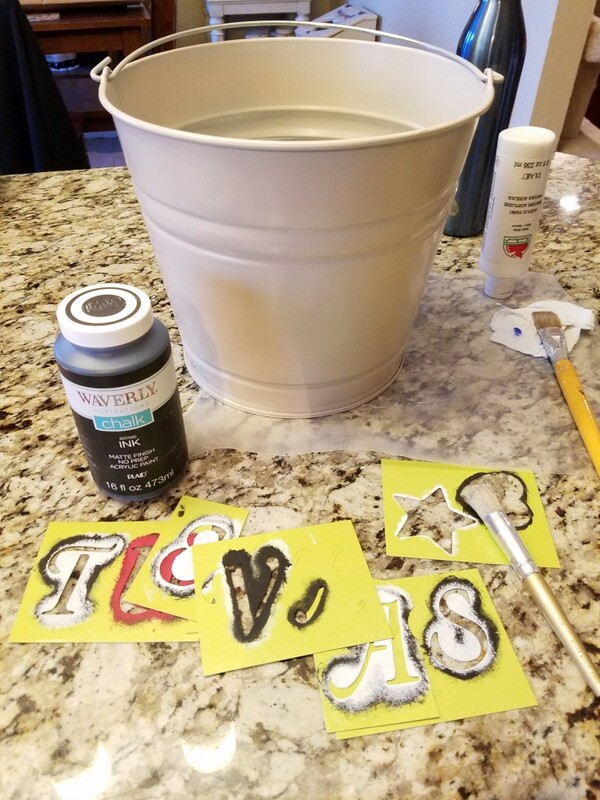 When you mentioned you used chalk paint for the letters and the flag I was wondering how you were going to protect it. Spraying a clear coat of urethane is a great idea. It should last a long time now. Thank you Michelle! I hope it last a while but the Texas sun is really hard on things. So I will probably need to spray a new coat even year.